START-UPS at WE-DESIGNS™ is a pilot project under the larger umbrella of the WE-DESIGNS™ creative agency that started in 2013. 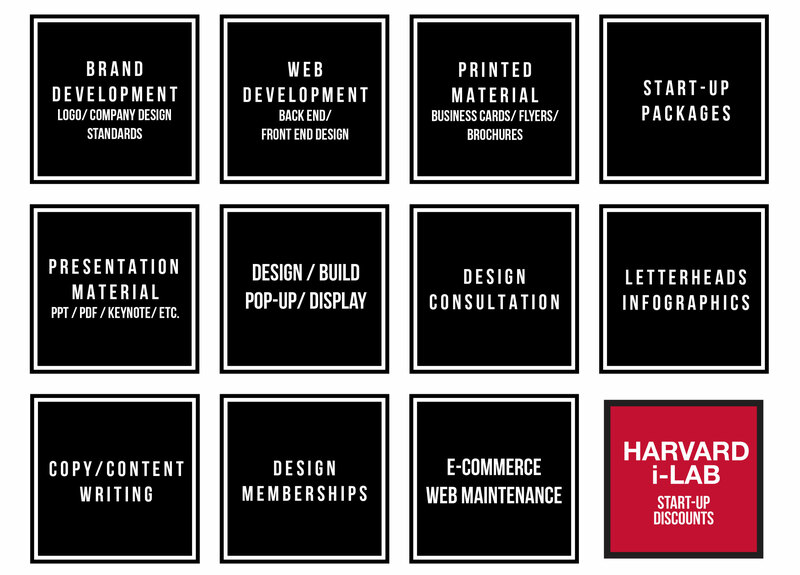 Designed to align with the goals of the start-up community, and specific design needs requested by start-ups, the START-UPS project at WE-DESIGNS™ is focused on providing creative strategies our team has acquired from working specifically with start-ups, especially with the Harvard i-Lab and Harvard Business School. The concept is simple. WE-DESIGNS™ will provide the same attention to start-ups as our established clients. Whether this is the next big brand strategy for your venture, an original business card, and/or the design-build booth for your next pop-up, we will create it for you. Start-ups could join a monthly membership, or consider a bespoke design package. To streamline the collaborative approach, each start-up team will be required to provide the groundwork for their project venture. This would enable starts-up to take ownership of their creative needs, which will be key to the success of this collaborative opportunity. WE-DESIGNS™ Established in 2008 // Copyright © 2010 – 2018 WE-DESIGNS, LLC. All Rights Reserved.